If you don't like this, I'll stop writing music. 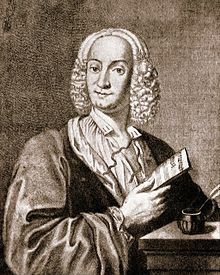 Antonio Lucio Vivaldi (4 March 1678 – 27 or 28 July 1741), nicknamed "Il Prete Rosso" (The Red Priest), was a Venetian priest and Baroque music composer as well as a famous violinist. He wrote in excess of 500 concertos plus many operas, overtures, sonatas and sacred vocal works. Translation: If you don't like this, I'll stop writing music. An ironic note written upon an aria score of his opera Orlando Furioso (1727). This page was last edited on 10 April 2018, at 18:05.